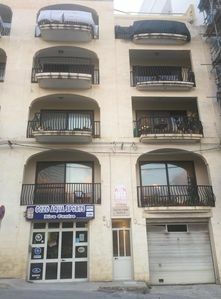 The apartment has a total of 5 room which sleep two persons each, therefore if interested, guests are able to create a group of friends and rent the whole apartment. The other entries related to this property are Torri Katur Apartment 1 Room 1, Torri Katur Apartment 1 Room 2, Torri Katur Apartment 1 Room 3 and Torri Katur Apartment 1 Room 5. The apartment is fitted with a full kitchen consisting of a stove top, oven, toaster, microwave and refrigerator. 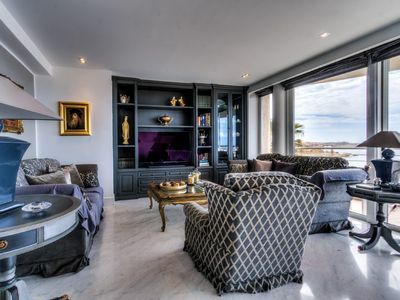 The apartment also has a spacious living and dining area which can be used by all the guests in the apartment. Kindly note these areas a shared. 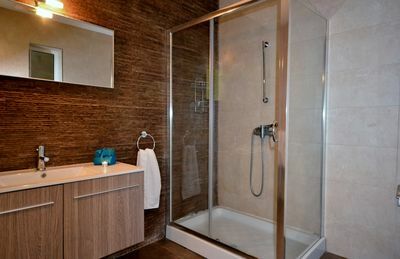 Guests booking this unit will have a private room which is accessible through a lock code. The room is fitted with twin beds and also has a private bathroom across the corridor. The common areas are shared. Upon confirmation of booking guests are sent a contract through our system which outlines the obligation of the host and the guest. Furthermore guests are sent an information pack via email prior to their stay with us. St. Julian's or San Giljan, is located on the Maltese coast, north of Valletta and it is mostly famous for its thriving nightlife and touristic activity. This town is a hub for new and luxurious hotels, many different kinds of restaurants and trendy nightclubs, mostly centred in an area known as Paceville. For this reason, St. Julian's is popular amongst both the locals and tourists alike, especially during the summer months, where visitors take advantage of the good weather to enjoy long walks on the seafront promenade. The landscape of St. Julians is dominated by the tallest building in Malta, Portomaso Tower that stands at 98 metres. St. Julian's has a population of around 8,000 people, and its name comes from the patron saint of the town, Saint Julian. The traditional summer festa is celebrated annually on the last Sunday of August. Before 1800, St. Julian's was just a small fishing village surrounding Balluta and Spinola bays, with very few buildings except for the Spinola Palace, the old parish church, a few fishermen’s huts and a few farm houses in the countryside. However, it seems that people dwelled in St. Julian’s much earlier. In fact, in the 20th century, some tombs of the Roman period were discovered in Balluta, on the site where today there is the Chapel of the Sacred Heart Convent. St. Julian's: things to do and see Wine and Dine: There are a good number of bars and restaurants in St. Julian's offering a variety of cuisines and atmospheres. Dance the night away in one of the numerous nightclubs around St. Julian's. Balluta Bay: Balluta Bay is also popular amongst visitors; it is dominated by the neo-gothic church and the impeccaple Balluta Buildings built on the art nouveau style. There are also a couple of traditional terraced houses built in the Georgian-style. Spinola Bay: Spinola Bay is one of the most romantic bays in Malta; going up the hill, one can admire the little old chapel, Spinola palace, a number of typical Maltese town houses decorated with traditional windows, as well as arched boat houses on the quay. During the evening, the street lights reflect on the calm sea that is full of quaint fishermen’s boats. Take a picture in the Love monument: This modern structure constructed out of Travertine was built with the intention that the word 'LOVE' would be reflected in the calm waters of Spinola bay. Go on a romantic boat trip: These ‘love’ boats take you and your loved one on a romantic cruise around Balluta bay. It’s a perfect opportunity to capture the beauty of all the surroundings. Spinola Palace: Spinola Palace was built in 1688, a building that is seen as the first stepping stone that started St. Julian's development. This palace and the adjacent gardens were built by Fra Paola Raffaele Spinola 'for the public entertainment' as written in the inscription found above the portico. The palace was enlarged in 1733, however, during the French occupation, French troops made a mess of the place, damaging the emblem of the Knights that was on the façade. Walk along the promenade: You can take a long walk on the promenade that stretches from St. Julian's all the way to Sliema, Gzira, Ta’ Xbiex and Msida, and enjoy breathtaking views of the sea, Marsamxett harbour and Valletta. There are plenty of cafes, restaurants and bars along the way to keep you well fresh in the sunshine. Visit Portomaso area: One of the poshest areas in Malta, Portomaso offers a number of shops with luxurious goods, high-class restaurants and a beautiful yacht marina. Public transport is a 5 minute walk from the apartment. Parking for car hire is on street. There is also a new private carpark 5 minutes walking distance from the apartment. Available 24x7x365 for anything that you will require. Baby cot available on request and should it not be used by other guests. Kindly let me know at least 5 days in advance. If you are arriving from 20.00 till 07.00 an airport transfer organised by City Living is mandatory. The transport service used by City Living knows the location of the apartment and there is no risk that guests get lost. To advise if guest is hiring a car. Will print boarding passes if needed and deliver to your apartment at the cost of 5 Eur. 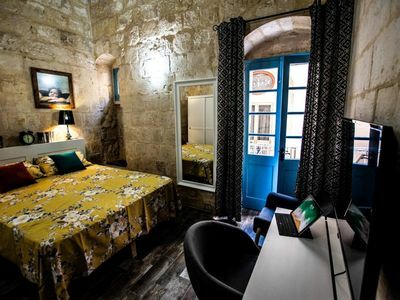 An environment tax €0.50c per person for each night spent on the Maltese Islands at any type of accommodation including hotels, guesthouses, hostels, resorts, apartments, farmhouses, timeshare and host families, amongst others. The contribution is capped at a maximum of €5 for each continuous stay.